Courtney Agnes plays herself on the Discovery TV show, Yukon Men. It airs on Tuesday evenings across the country. She is the daughter of Pat Moore who is also on the show. 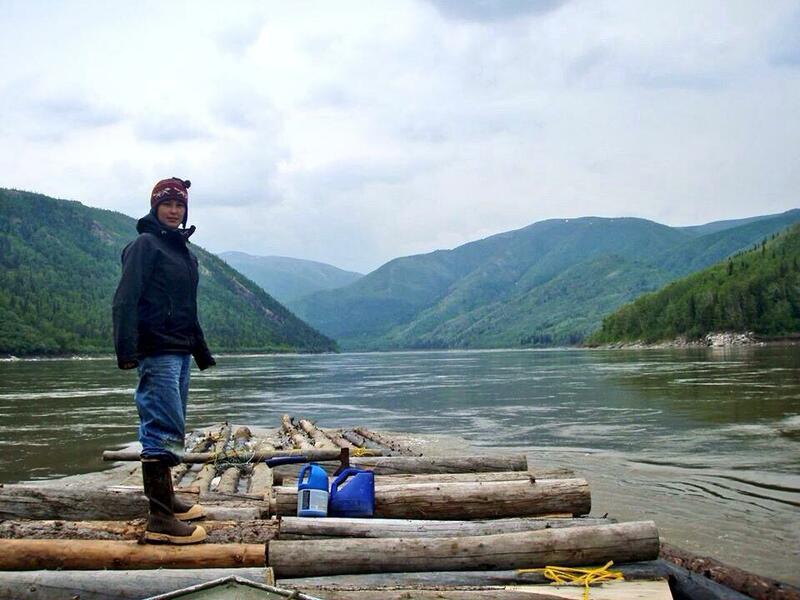 Courtney and her family live in Tanana year-round and live off the land. The show has already had three successful seasons. I caught up with Courtney recently to ask about her experience with the show and about life in rural Alaska. She has enjoyed the show and appreciates the opportunity to show how people actually live in interior Alaska. Courtney is a fan favorite with my family and friends, and probably a lot of people across the US. In my eye, Courtney is a true Alaskan Yukon woman. She hunts, fishes, picks berries, beads and does what it takes to raise her family in the village. Life in rural Alaska is not easy, but there is so much value to raising your family in a place where people take care of each other. If you have watch the show, you can see how Courtney shares her traditional and cultural Athabascan values as well as the strength she gets from her father. While Courtney may see things in black and white, her dad shows her the gray scales in life. 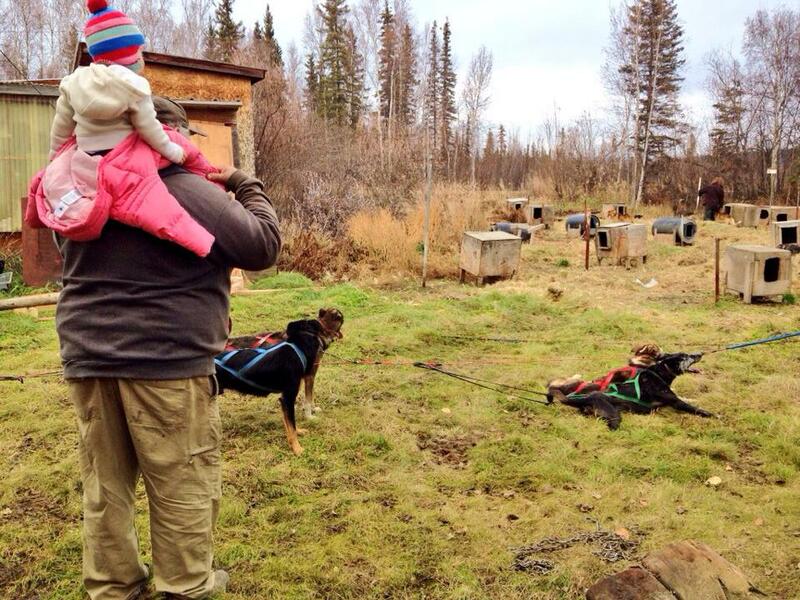 Some young Alaskans can’t wait to leave the village when they grow up. They might move out of the village to obtain a higher education or to get a job. Jobs can be hard to come by in smaller Alaskan communities. When Courtney went to college, she thought she might never return to Tanana. Her dad knew she would return. She and her family have had tough times over the years, like when her mother suffered an aneurysm. Courtney helps her dad with cooking and in other ways while her mom recovers. 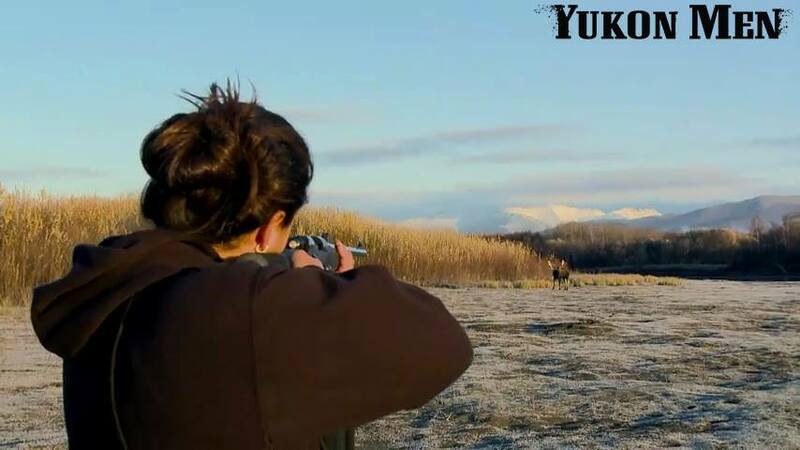 Courtney shot her first moose while filming the Yukon Men show. She says, “I really felt empowered to be able to hunt for my family.” Courtney’s husband is gone over six months out of the year. I admire her for doing what it takes to feed her family. Courtney is also known for her sewing and beading skills. She has been asked about selling her beadwork online. She loves sewing and doing beadwork for her family, but she is too busy to devote much time to it right now. Courtney just finished sewing boots for her baby, and plans to sew mitts and canvas boots for her oldest. She does support other local artists by helping them to sell their items when she can. I asked Courtney if she could share any outtakes or stories from the Yukon Men show. In the first season, there was a scene where she fell into the water, and it looked like she wasn’t going to come back up. She said, “The funny thing though is that I was wearing a life jacket! I mean I was pretty sure I was going to float, and that I wasn’t in any danger.” While that was pretty funny, she has also had some real scary moments, like in the bear hunt episode coming up later this season. Courtney says, “We literally snuck up on a bear and we were only 25 feet away from him.” You’ll have to watch the upcoming episode to see what happens. 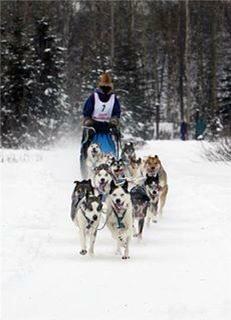 A part of the reason I admire Courtney and her dad is because they are dog mushers. My dad was a dog musher, and there was a time when I wanted to be dog musher as a kid. Courtney has toured and raced with the dogs. She has raced in the Fur Rendezvous World Championship Sled Dog Race. She visited a classroom in Anchorage. One boy was so inspired that he got a couple dogs from the pound. His mom told Courtney that her son would ride down their street from mailbox to mailbox. 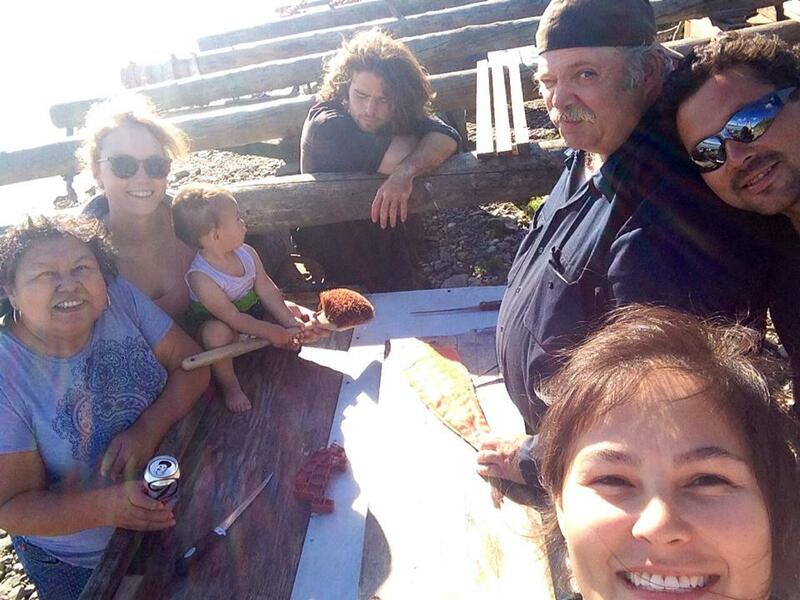 People sometimes have a perception of Native people and what life is like in rural Alaska. I appreciate people like Courtney and others for showing more of what it’s really like to live in the village. Way to go Courtney for being a true Yukon woman and inspiring us all to try a little harder and see the good things in life! Courtney is a total babe! What a woman! You know the saying simplicity is beauty that is Courtney agnes. Wow I watch you & your family on your show and the daily struggles I have to say my hat is off too you and everyone there!!! As hard as it , is it does look like a peaceful life!?!?!?! She’s not single. Out days in the article that she’s married and had 2 kids. You are why I watch the show. You inspire me with the strength to face life you model. Please don’t ever change. Sandy Marie, you said everything I was thinking. How lucky your students are to have you learn to respect and understand a different culture and to respect the carrying on of ancient ways, passed down through the centuries. The best show I have ever watched on TV. Keep it going as long as possible. beautify and a perfect example of a conscious soul. Blessings! Courtney, love your show and really upset that Discovery cancelled it. So many rumors as to why it was cancelled. Last one I heard your Dad wanted out so you agreed to leave the show. Don’t believe it one bit. I really do hope in the future we get to see how you & your family are doing maybe another channel will pick up Yukon Men.